Give us some rain! Not what we were saying a few weeks ago but Colne Water is down to its bones and the reservoirs could do with a top up. Having said that both Laneshaw and Churnclough fished very well in May with a record number of anglers turning out at Laneshaw and second highest number at Churnclough . The sun and warmth brought out the flies as well! Hawthorn flies, pond and lake olives and mayflies (??) all came out when conditions were right to supplement continuing hatches of buzzers. Alder flies (look like small sedges) were also coming off at Laneshaw. So there was a lot for the fish to have a go at and this is the peak time for those of you who, like me, relish dry fly fishing. And yes I do think we have mayflies! I’m certainly no expert and if there is anyone reading this who can identify our fly life your help would be much appreciated. I did however catch some smaller darker specimens in early May which had two tails, clearly olives, whereas the much larger and lighter coloured green flies coming off towards the end of the month definitely had three tails and pronounced hind wings which all the books tell me are mayflies!! Anyway, the fish responded well. More than 450 fish were landed at Churnclough and at Laneshaw the record number of 191 anglers caught 538 trout including an impressive 124 browns! Perhaps more important than the numbers is the fighting quality of the fish. Members I have spoken to have said most of the fish they hook (not all are landed!!) have fought very hard indeed and never seem to know when to give up. Generally our fish stocks are in a very healthy condition. I have had no reports on Colne Water. Due to the low water levels I expect few are fishing but it will be interesting to see if the grayling show up again when we do get more rain,and of course you can fish for grayling from 16th June. 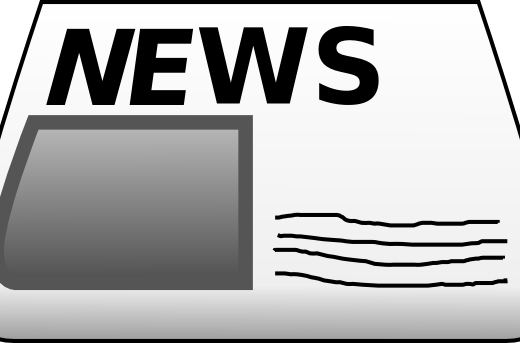 A new member has told me he was impressed with our website saying it was informative and most of all was being kept up to date. 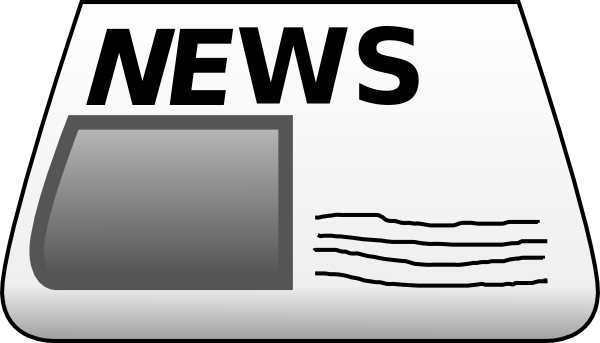 I know I don’t get as many “hits” as I would like on these news updates but it is up to members and indeed anyone visiting the site to comment and provide items of interest. So again if you want to tell us what you think of the fishing, how well (or badly??!!) you are doing, what we can do to improve things etc., then please let us know. Committee member Liam Ogden has done an excellent job in bringing our website into the 21st Century . I want the Club to have an informative and interesting website and the more who contribute the better the website will be. Finally a reminder that we shall be holding open days at Laneshaw over the weekend of 23rd and 24th June so if you know anyone who wants to get into fly fishing or already is and wants to see at firsthand what the Club is all about then ask them to come along. 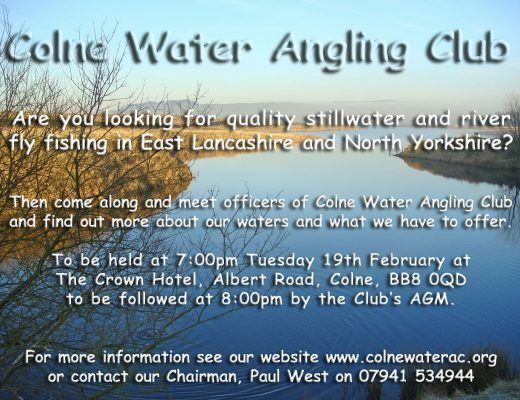 Refreshments will be available.So more news and feedback please and tight lines! 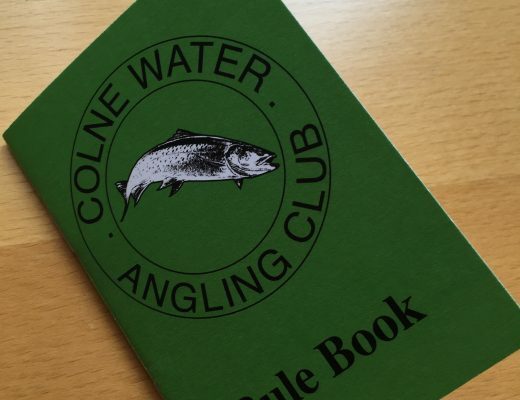 My First Month In Colne Water AC. Thinking abut Joining? Come to this year’s AGM!